Green Bay Packers head coach Michael McCarthy moved into The Villas on Lake Travis a luxury Austin condo community on Lake Travis, following many celebrities who have moved into the trendy and hip Lake Travis area. When Green Bay Packers NFL head coach Mike McCarthy looks for fun and relaxation after a big game, he heads to his new condominium on Lake Travis. McCarthy is tone of the latest celebrities to call the Lake Travis area of Austin, Texas home, joining Sandra Bullock, Matthew McConaughey and Lance Armstrong among others. CNN recently ranked Austin, Texas as the third fastest growing city in the United States. People are enticed by the great climate and active downtown area. According to his bio from the Green Bay Packers, Coach McCarthy loves country music, and perhaps he came to Austin to live closer to the country music scene--second only to Nashville, TN. An avid boater, McCarthy will enjoy the 65-mile long Lake Travis near his new lake condo, located at the Villas on Lake Travis. Ben Jordan, a current resident at the Villas on Travis sees many celebrities near his Lake Travis condo. "It doesn't surprise me that Coach McCarthy now lives here. I know for a fact Eva Longoria's best friend who's a Hollywood producer in Los Angeles has a second home here," Jordan said. "An actor on the hit TV show Friday Night Lights also lives here at the Villas." The Villas on Travis offer celebrities like McCarthy and Longoria complete privacy with a seven day a week night security guard and private gated access. The paparazzi will have a difficult time getting past the 24-hour gated entrances of the lake condominium development. Celebrities watch the sunset from the deck of their Lake Travis condo without worrying about the prying eyes of the paparazzi. Anyone curious about this prestigious condo development that attracts so many celebrities can discover the beauty of these Lake Travis condos for themselves at http://www.luxuryaustincondos.com on Saturday and Sunday, September 29-30th. Jordan, an Austin real estate investor, recently put his fully furnished Austin condo for sale at the Villas and will host an open house from 1 to 5 p.m. daily, complete with free alcohol and refreshments. "The views from the Villas on Lake Travis are the most beautiful in Texas bar none,"Jordan says. "And with two resort style pools and hot tubs, five boat slips to dock your boat, full length basketball court, fitness center, and two lighted tennis courts, it is no wonder that celebrities and others want to live here." 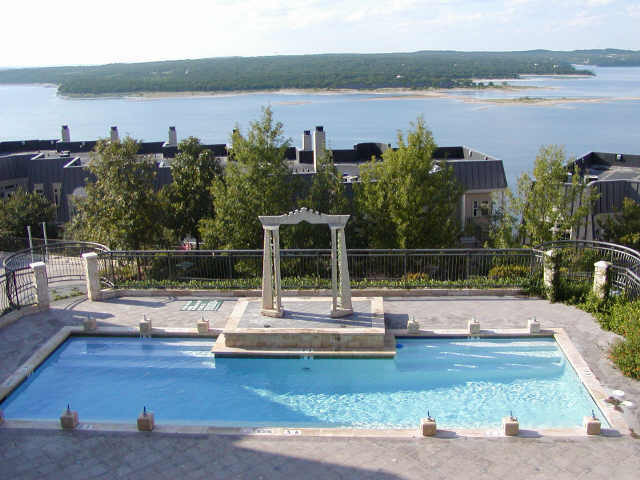 For more information on buying a luxury fully furnished Villas on Lake Travis 3bdr/3bath condo for under $365K please visit http://www.luxuryaustincondos.com or contact Ben Jordan at 512-762-6350.